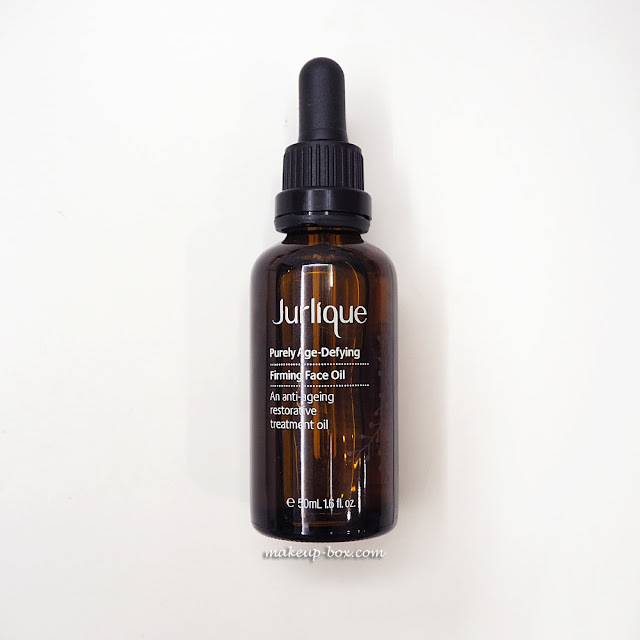 If you live in the UK or Australasia and you're into skincare, the name Jurlique is probably not new to you. Born in 1985, the credo of the company has always been centered around natural, eco-friendly, organic plant-based beauty, and today, they have a comprehensive range of skincare and body products targeted at different skin issues and concerns. The bestselling Purely Age-Defying range is targeted at fighting visible signs of aging; namely those who are starting to see fine lines, some slackness and loss of elasticity, and some unevenness in skintone. So I wanted to start my Jurlique journey with some of the cornerstone products in this series. First there is the key item in any skincare range, and the item that I usually advise most people to invest in. Far better to skimp on a basic moisturizer and invest in a good serum, because they usually contain a concentrated amount of active ingredients, are formulated to penetrate faster and deeper, and also work quite well with most lotions and creams you want to put on top. Oat Kernel extract - anti-inflammatory and soothing; as we get older our skin starts to react more easily to environmental aggressors and hormonal imbalances, and anti-inflammatory ingredients are critical to keeping everything balanced and well-behaved, which is a key to reduction of oxidative stress in the skin. Beech Tree Bud extract - extracted from a plant that lives for hundreds of years, beech tree bud extract contains a lot of flavonoids and peptides, things which counteract oxidation and help strengthen your epidermis structure. Tapioca starch - this sounds strange but actually it's a great humectant and can help to hold water on the skin surface longer. And if these are not enough, the serum also contains all the most popular skin protectant/repair ingredients like Licorice extract, yeast, algae, and squalane. The best thing is despite all these nourishing ingredients, it sinks in quickly and doesn't leave a heavy film on the skin, so even if you have oily acne-prone skin, this can fit nicely into your existing skincare routine. Purely Age-Defying Mist (SGD$76) is one of those face mists we all love and can't get enough of. I'm not a fan of mists that are just "spring water". If you're going to use a mist, make sure it contains plenty of other good stuff, because it's a convenient way to deliver extra hydration and antioxidants to your skin over the day, especially if you're wearing makeup and going in and out of dry air-conditioned environment and hot humidity. P.S. the glass bottle is just beautiful, but if you want to travel with this you might want to decant it into a plastic bottle as it's quite heavy. Pure Age-Defying Firming Face Oil (SGD$106) is my absolute favorite product of the lot. Hands-down. You might not be surprised since I'm a bit of an oil-junkie. I love how calming face oils are, and how they can help balance oil production with regular use, while helping to condition the skin without additional fillers and chemicals that can sometimes cause reactions in sensitive skin. This product is based on safflower seed oil, which means it is very conditioning and emollient, and contains lots of essential fatty acids that help to repair and protect skin barrier. If you have thin, dry or fragile skin that is prone to mild sensitivities, safflower is a pretty good option, although it's not all that commonly used compared to jojoba, grapeseed and sweet almond. What stands out to me are the Vitamin A and Buriti which contains beta-carotene (a Vitamin A derivative). If you haven't heard, Vitamin A is a powerful wrinkle-fighting ingredients which also helps cell turnover. Retinol and Retinoids are all Vitamin A derivatives used to fight fine lines and hyper-pigmentation. Of course, some people are sensitive to certain oils, so make sure you try a sample or do a patch test (as with any skincare product). This is not a comedogenic formula so I don't see it being problematic for most people, but you might still find it feels a little too nourishing for you if you are very oil-prone. You can get around this by changing your method of application. Press it on over clean-skin, BEFORE serum/lotion. The lighter product you massage on top of the oil helps to emulsify and increase absorption of the oil. This is my favorite method for application because I find everything absorbs faster and I can apply makeup over it. Add a few drops in your palm, spray a pump or two of the face mist over it, and mix between your palms to emulsify before pressing over your face. This turns everything into a light milk which you can use in place of a regular moisturizer if you don't want too much product on your face. Mix a couple of drops into your regular oil-free lotion or cream and apply together as the last step of your skincare. This boosts the nourishing effect of your lotion or cream. You can use a regular cream in the day and leave the oil for night, but I personally have slightly combi/dry skin and apply this anytime of the day. It leaves my skin feeling comfortable and smooth for hours, and really helps my makeup to glide on. In fact, it's calmed my skin down so well that I didn't even have a breakout when I was PMS-ing recently, which hasn't happened for a long while. One last note on facial oils - Jurlique doesn't have a ton of preservatives in the formula and the oil is not mineral-based so you do have to store the product in a cool dry place and try to finish it within a year (6 months is best) so it doesn't go rancid, which is the same for all plant-based oils. If you store it in the fridge, you can extend the shelf life quite a bit as well. Just a tip! Lastly, a cult classic. Rose Silk Finishing Powder (SGD$63). This is something I've been meaning to try for years (ever since I saw Lisa Eldridge talking about the Citrus Silk Finishing Powder, which has sadly been discontinued), but kept forgetting about. Well I am very glad I finally did because it's gorgeous. I want to bathe in this stuff. This is a translucent mattifying powder that balances the skin and subtle evens out skin-tone without looking like makeup. It contains Sage and Rosemary extracts to help naturally reduce surface oiliness and also Daisy, luxurious Iris (Orris Root), and even Witch Hazel for a refreshing and cooling feel on the skin. My skin just feels smooth and silky, not powdery or overly-matte and cakey looking. And did I mention the divine smell? Dust it on and you immediately feel like you're sitting in a 1920's boudoir in your beaded gown, powdering your nose with a luxurious, delicately rose-scented French powder, before going out for an evening at a jazz club. It's a beautiful thing. 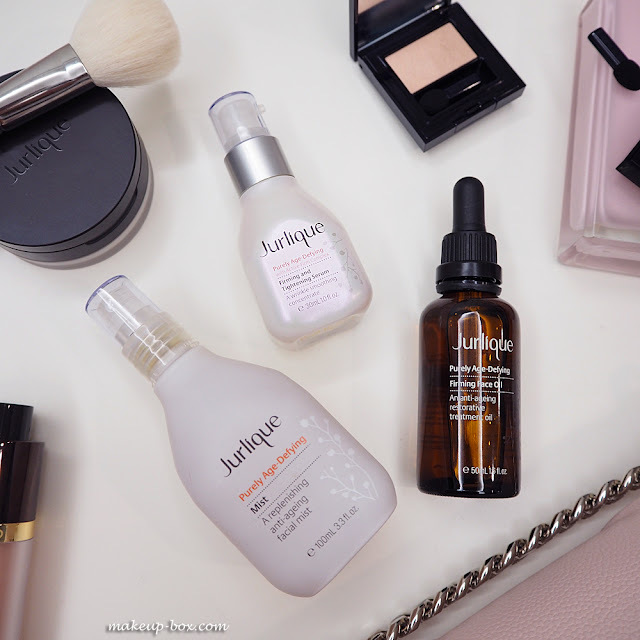 A round-up of some new (and evergreen) skincare, makeup, fragrance, and fashion loves! 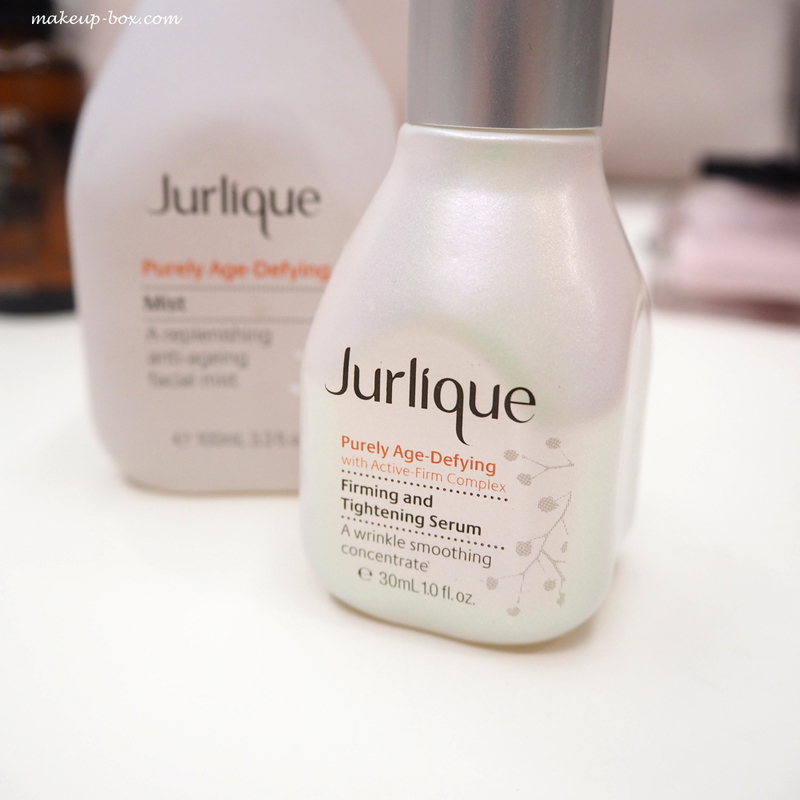 Now that I've given Jurlique products a nice test-drive, I'm keen to try more of their face oils and masks. The range is pretty extensive, and they have a number of items for sensitive skins which I am very curious to check out next. So far I haven't been disappointed with any of the items I've tried, which is not surprising given their focus on effective, simple, but elegant formulas made with pure ingredients, many of which are grown and harvested on their own biodynamic farms in Adelaide, Australia. Highly recommend swinging by a store if you haven't already taken a look at their range! Jurlique is available in Singapore at Ngee Ann City #B1-56, TANGS Vivocity Lev 1, Raffles City Robinsons Lev 1, Robinsons Heeren Lev 1. You can also stay posted on any promotional news and updates on their Facebook page and Instagram @jurliquesg! I may have to try the powder. Like you, it has been on my radar for years yet I kept on forgetting about it. Thanks for reminding me of it! Curious about the powder. 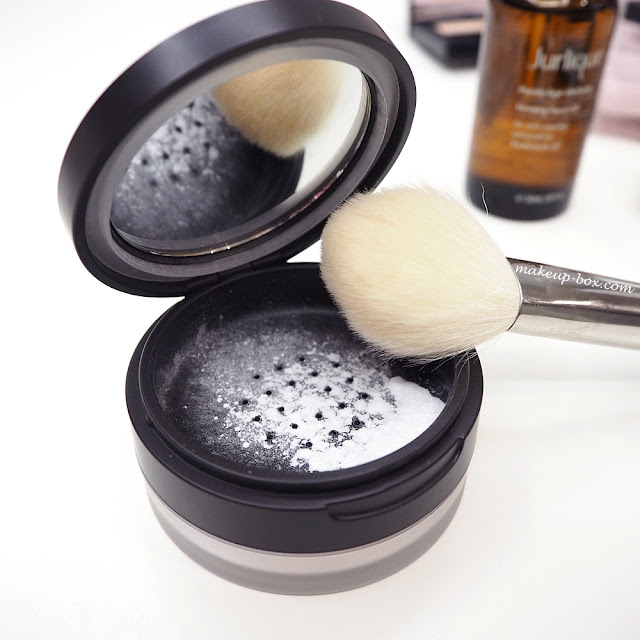 How does it compare to Shu Uemura powder? That powder was a hard-to-get item in the US a few years back before SU set up their online shopping site. Sephora was the only place to get it and they were always sold out. I finally got it and loved it so much that it still is the only make up product that I've ever used every last bit of. The Jurlique sounds lovely, esp. since I have oily skin.